Snacks that basically serves to provide nutrition and reducing hunger while waiting for the meal, and to keep the blood sugar does not drop. What we need to do is just choose a snack smarter than us. Not only just a tasty snack, but also sehat.Mengkonsumsi snacks not only to block the stomach from hunger. But it should also be considered in terms of health terkadung in it. Whether you are one who likes to snack? Many say that snacking can make your weight go up, is that right? Snack or small meal or snack is a popular term, usually eaten to spend leisure time watching television or working, even some that are eating snacks before or sometimes after the main meal. Healthy snacks you can consume include: Bananas, Carrots, Yogurt, blueberries, ice cream, almond kacan, gelatin, bananas, popcorn, carrots, broccoli, snack will not only satisfy the taste buds of your tongue but also increase the intake of nutrients. Should consume snacks are low in calories and rich in calcium. Like what? Smoothie blueberries = 93 calories. Smoothie into one delicious way to get additional calcium and antioxidants. Blend one-third cup of non-fat yogurt with a two-thirds cup of frozen blueberries and ice. If blueberries are expensive, replace it with strawberries. This smoothie will slow down your drinking ways. The more time it takes to finish this snack, it would be more enjoyable. Half a cup of low-fat ice cream = 100 calories. Not many people think of ice cream can be a nutritious snack ideas. It must be seen first ice cream to be eaten. We recommend that you choose a low calorie and fat. Both of these foods are also a good choice for a source of calcium. Frozen yogurt or yogurt can be combined with a variety of fruit or other toppings such as cereals, biscuits that contain minerals such as phosphorus and magnesium, two minerals because they can help better absorption of calcium. Fresh sour taste, combined with various types of toppings, makes us addicted to eat them. No need to worry, because typically yogurt low calories and contain lots of protein, calcium, potassium and probiotics. This probiotic substances not only can boost immunity, but also good for our digestive system. We can check whether it contains probiotic yogurt or not by looking at the label "active cultures" or "live cultures" on the packaging. A total of 14 grains of almonds = 98 calories. Almonds are pretty much available in some supermarkets. Should choose almonds that have not added salt. Better yet, buy raw almonds and baked without salt. Because it feels good, limit the intake of almonds was more than 14 items that are under 100 calories. Biscuits contain a lot of milk and can meet your calcium needs. Choose crackers with a glass of milk dose comparisons (eg, one package of 100 grams is equivalent to one glass of milk). Besides easy to make, gelatin contains fewer calories and be able to withstand hunger long enough. Choose me, plain gelatin which contains only 10 calories. If you like gelatin with fruit or sugar in it, the level is still low calorie anyway, only about 70-80 calories. In addition to the right to be friends while watching the movie, it also includes popcorn a healthy snack, you know. A large box of popcorn contains just 93 calories and 1.5 grams of fat. In addition, the popcorn is also mengandungzat important antioxidant, vitamin B, vitamin E, magnesium and fiber. Healthy is that? By eating 1/2 cup of raw broccoli has been cut, you've got half the recommended daily dose of vitamin C (41 milligrams). This nutrient-rich vegetable also offers a number of folate and vitamins. In addition, broccoli also contains an equivalent amount of calcium milk calcium. Therefore, it is suitable for you who suffer from osteoporosis or calcium deficiencies. You can meet the needs of vitamins for the day by eating one medium carrot. One carrot contains 17,158 international units (IU) of vitamin A. Three times a day to eat a main meal and two small meals or snacks can be a way that we keep the ideal body weight. Nutritionists dr. Ida Gunawan, MS, Sp.GK recommends that you choose the right kind of snacks you eat. Instead of eating chips, better eating fiber-rich snacks such as fruit, vegetables, or agar-agar. A cavendish bananas for example, contains about 175 calories. Small red apples around 85 calories. Low-fat yogurt sized 125 ml even have calories less than 100 calories. 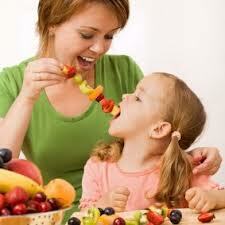 Staying added sliced ​​fresh fruit such as strawberries or oranges, be a healthy snack. Now that you know some healthy snacks to eat. So, from now select and plan a healthy snack you would eat, do not wait until you're starving. Thank you for your great article. Very well written, much appreciated. Thanks a lot for sharing. . .
reliable packers and movers hyderabad. Thank for shared this useful informative, Good Shared! See also more and compare for best prices deals for Healthy Snacks here!